Over the last several weeks it has become quite evident to many of those who thought a Donald Trump presidency would advance a political agenda that is markedly different from what has prevailed over the last three decades are realizing they were sadly mistaken. Trump appealed to conservative and independent voters utilizing demagogy about building a wall on the border with Mexico and barring Muslims immigrants from entering the United States. He also claimed that he was going to bring jobs back to the U.S. from overseas production facilities. Nonetheless, if one takes even a cursory look at the backgrounds of the appointees for his cabinet and senior advisers, all of them represent what has been gravely wrong with the U.S. for decades. The failed policies of “permanent war”, mass surveillance, the supremacy of the financial institutions, the bailing out of the banks, insurance companies and industrial firms, and systematic destruction of the population groups within metropolitan areas, are set under the current circumstances to continue at full speed. The nomination of Dr. Ben Carson is representative of this same trend. Carson, who is from Detroit where the crisis in housing and displacement portended much for the country as a whole, comes to the cabinet portfolio with no experience in the field. 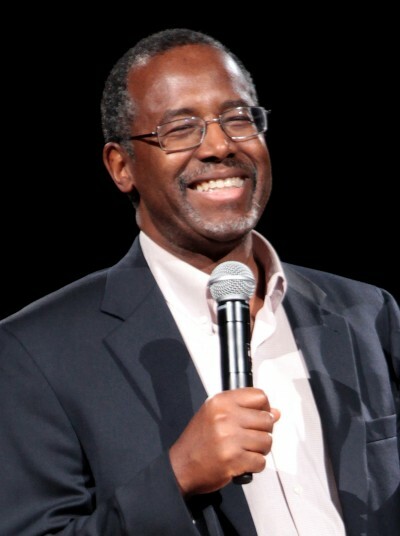 Although Carson grew up in Detroit, he has never expressed any desire to correct the enormous social problems within the city which have been largely caused by the excesses of the capitalist system. Detroit never recovered from the large-scale downsizing in the automotive and steel industries that occurred between the mid-1970s through 2009, when a government-sponsored rescue of Chrysler and General Motors wound up lowering salaries and benefits along with the elimination of tens of thousands of jobs. These jobs losses over the decades impacted other industries in retail, services as well as the public sector. The housing crisis in Detroit accelerated during the first decade of the 2000s when the city was targeted by predatory financial firms that sold mortgages to over 100,000 households which they knew were fraudulent and unsustainable. The subsequent destruction of communities was clearly the responsibility of the banks which denied all claims for fairness and reparations as compensation their crimes against the people. Demands put forward by the Michigan Emergency Committee against War & Injustice (MECAWI) and the Moratorium NOW! Coalition to Stop Foreclosure, Evictions, and Utility Shut-Offs for a halt to the home seizures and evictions pending efforts to effectively hold the banks accountable for their actions, was routinely rejected by the courts and the governmental entities locally, statewide and nationally. At present in Detroit, there is the ongoing problem of property tax foreclosures where hundreds of thousands of households are being assessed for obligations that far exceed the value of their properties. A class action lawsuit by the Michigan American Civil Liberties Union (ACLU) and the NAACP Legal Defense Fund is seeking through the courts to reverse this process although a motion for a restraining order to stop the property tax foreclosure auctions was overruled by the Wayne County Circuit Court leaving many facing eviction by oftentimes unscrupulous “investors” who purchase thousands of these homes for virtually no money only to resale them on land contracts which are inherently duplicitous. Carson’s ultra-right political views harbor no compassion for the people of Detroit who have fallen victim to the racist economic and social system. His nomination for this cabinet position means that the same situation will prevail and that the only hope for the masses in the city and the state is an intensification of the struggle to challenge the banks in order to overturn their influence and dominance within the U.S. political economy. The ruling class “solutions” for Detroit include conspiracies of benign neglect and destructive underdevelopment for the neighborhoods and the construction of “prestige projects” for the downtown area. At present a new hockey arena is being built in the former Cass Corridor under the direction of Mike Illitch, the billionaire pizza magnate who also owns the Detroit Tigers baseball team. Tremendous research has repeatedly confirmed that these “white elephants” create no permanent jobs because after the stadia and commercial complexes are complete the type of employment generally needed is seasonal and low-wage. There are already far too many low-wage jobs in the U.S. prompting a nationwide movement demanding a $15 minimum wage and union representation. Dan Gilbert, another billionaire “developer and venture capitalist”, who owns Quicken Loans and other businesses including the Cleveland Cavaliers basketball team, is daily championed in the corporate and government-funded media as the white “savior” of Detroit. Over 80 buildings in the downtown area have been turned over to Gilbert who enjoys massive tax breaks amid the epidemic of foreclosures among working class and poor families throughout the city and Wayne County. Gilbert also heads the Detroit Blight Removal Task Force which identifies homes and commercial structures for seizure, auction and demolition. The Detroit Land Bank Authority (DBLA), a quasi-governmental agency, then goes into Wayne County Circuit Court to take control of these properties. The DBLA is permeated with fraud and is currently subjected to a federal investigation for bid-rigging and numerous irregularities. U.S. Treasury funds ostensibly slated for the “Hardest Hit” homeowners in Michigan, have been funneled into the DBLA in an effort to further “ethnically cleanse” the city of African Americans, Latinos and other marginalized working class groups. These plans for Detroit and other cities throughout Michigan along with the U.S. as a whole must be challenged by community-based organizations. There is no empirical evidence whatsoever to even remotely suggest that these schemes raise incomes for working people or stabilize neighborhoods and community institutions. The U.S. capitalist system under the upcoming Trump administration will further deepen class divisions and the mass impoverishment of the working class and nationally oppressed. Millions more will be rendered to joblessness and low-wage employment. Only the development of socialist economic planning for the municipalities can guarantee a program of adequate housing, education, public services and quality education.